18.08.2016. Rio de Janeiro, Brazil. 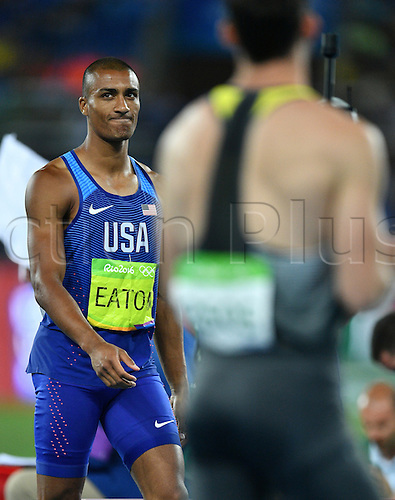 Ashton Eaton (L) of the USA and Kai Kazmirek of Germany compete in the Men's Decathlon Javelin Throw of the Olympic Games 2016 Athletic, Track and Field events at Olympic Stadium during the Rio 2016 Olympic Games in Rio de Janeiro, Brazil, 18 August 2016.